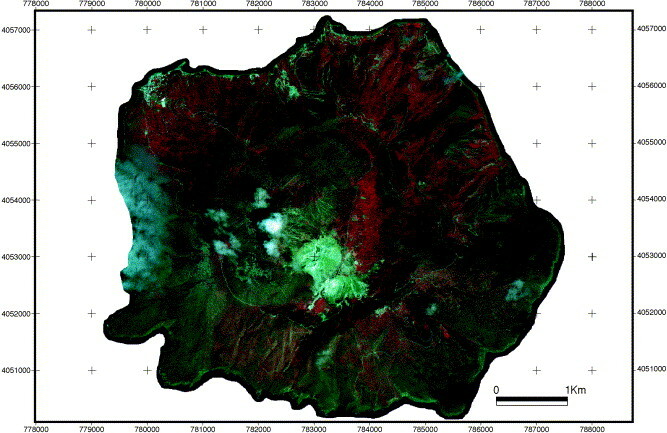 Georeferenced high-resolution satellite images can be used for acquisition of topographic information, navigation and visualisation for various environmental studies. The present study is part of the multidisciplinary EU project GEOWARN related to monitoring, warning and emergency planning for volcanic hazards in the island of Nisyros, Greece. Here, the main aim was the orthorectification of a 1-m resolution pan-sharpened IKONOS Geo image of Nisyros island. 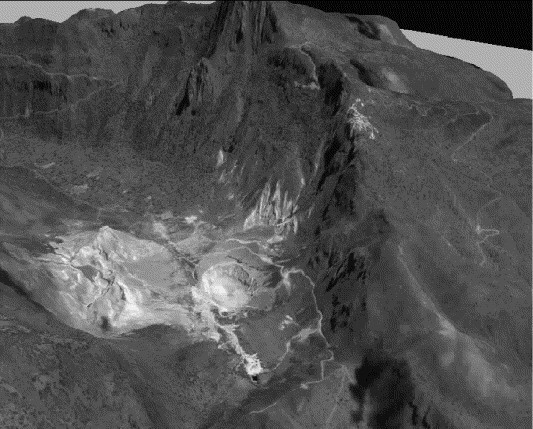 For the orthorectification, a digital elevation model (DEM) with a cell size of 2 m and an RMS accuracy of ca. 3.5 m was used, as well as 38 selected ground control points (GCPs) measured with differential GPS. An object-to-pixel space transformation using the ground control points was computed using two different models, a relief-corrected affine transformation and the polynomial mapping functions of Kratky. These transformations were used for orthorectification and the orthophoto accuracy was evaluated using GCPs as check points. Postprocessing for radiometric improvement of the orthophotos was applied. The orthophoto and the DEM served as basic tools for subsequent base mapping and visualisation.